Paul Walker, the famous hero of the film Fast and Furious walks no more as he dies in a car accident in Los Angeles Saturday. Paul was travelling with his friend when his friend lost control over his Porsche GT which smashed into a pole and a tree. 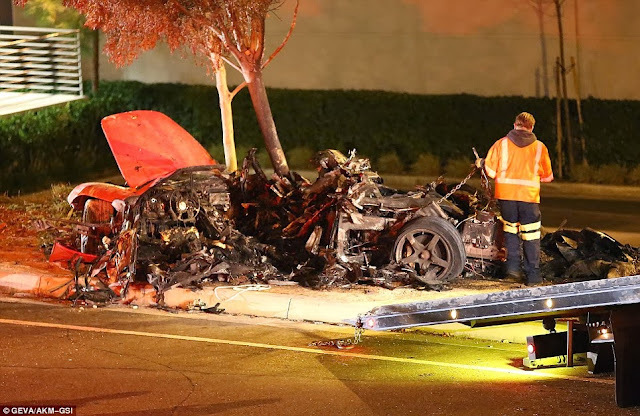 As a result of the tree-smashing, the high-powered super-car burst into flames after it crashed in Santa Clarita, north of Los Angeles at around at 3:30pm Saturday.